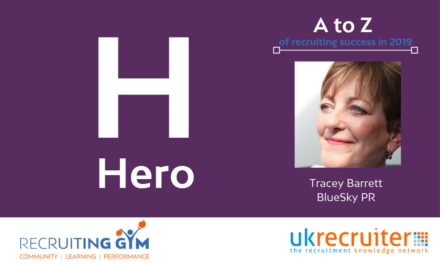 In this video, Kristie Perrotte, founder of Thrive Marcoms and Coach at the Recruiting Gym talks about how you can generate more inbound leads in 2019. 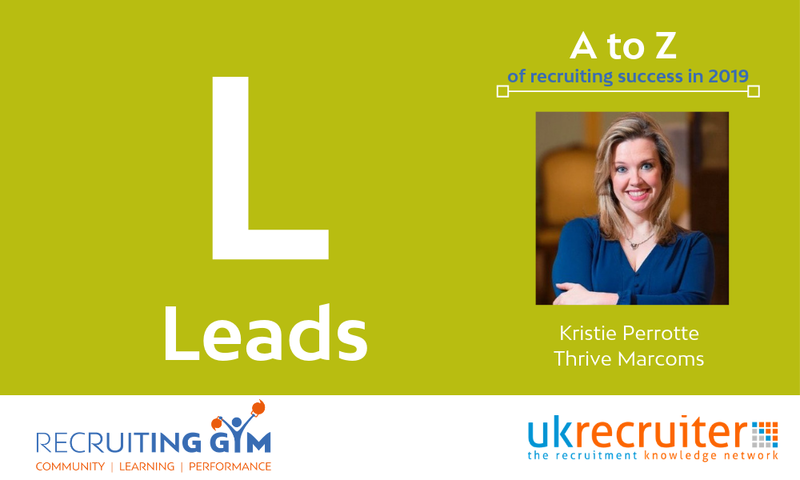 Kristie said: My A to Z for recruitment success in 2019 is the letter L for Lead Generation. Now you might be familiar with a salary survey or a report that might get you some leads, but really, there are some really fantastic digital marketing techniques to get you more leads coming to your website and allowing your recruiters more time to effectively close the sale. The first is email marketing. Now we’re not talking just about e-shots or newsletters, we’re talking about marketing automation. Finding specific behaviours and moments in that sale cycle that you could communicate with your customers via email, via actions that they might have done on the website and in linking your website into your email as well as your CRM system, you’ll be able to target them at those very moments that they’re ready to buy. The second is content marketing. Again, this is one of the best channels, but it’s one of the ones that people fail at, because they don’t have a defined strategy that both looks at the customer journey and their pain points, as well as keyword-optimised to make sure it has a really long shelf-life – people can keep finding your content in months, even years to come. That brings us to SEO. Now, SEO for great content, but also SEO in your wider website strategy and that includes having a very mobile, responsive website, fast loading times, great content and just making sure that you are having the right keyword strategy, the right SEO strategy to drive people to that website and essentially, convert them into customers. Hence, my number four tip is website optimisation. So your website really should act as an e-commerce platform. 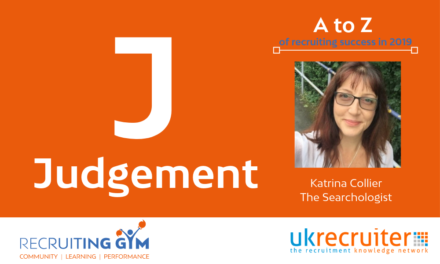 How are you going to get the customer — your candidate, your client — onto the website in their own defined user journey and getting them to the place that you’re going to make a sale with them, convert as a CV or an application or as a request for call back from a client? And finally, social media. 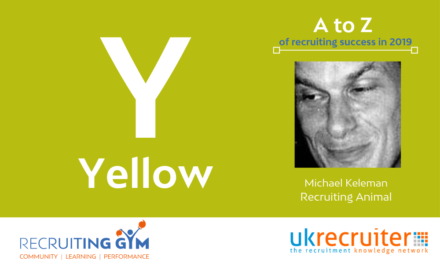 Again, this is a channel that, as recruiters, we use extensively, but are we using it strategically? This is an opportunity to really make sure that your social strategy, both in terms of paid, as well as organic, social engagement, as well as joining up those dots on conversion strategy and content strategy works in your favour to drive people to your site and convert them into customers. And don’t mess around with Instagram and some of these ones that aren’t going to get your return on investment, Your time is valuable; so spend your time wisely on channels that really will help you grow your business. But how can you use Kristie’s video to help you engage your team in generating more inbound leads in 2019? Use the I.C.E learning workout below to help you use this video with your team. Among the channels include email marketing, content marketing, SEO, website optimisation and social media. Success means developing an integrated programme to leverage a combination to get more people to your website and converting them into customers. 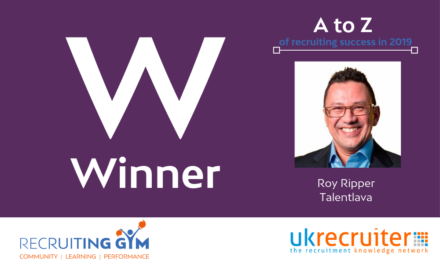 In an era of digital disruption, having a strong lead generation programme where much of the top of the sales funnel is automated and/or delivered through marketing can help recruiters focus on those value-added activities where they can close the sale. How are we currently using these channels to help us build our business? What are some things we can do better to enhance our existing programmes? Are we currently pushing people to our website through our social media posts and activities to try to convert them as customers? Look at your top 3 competitors and consider how they are leveraging channels to drive people to their website? What are they sharing on social media? What content or topics are they sharing on their blog? What are they doing that you could do better? If you’re not using marketing to drive more leads to your website, you’re missing an opportunity to grow your business. Email marketing, content marketing, SEO, website optimisation and social media are all excellent channels to drive more traffic to your website – what is called inbound marketing – and turn them into customers. Why Attitude Determines Your Altitude!